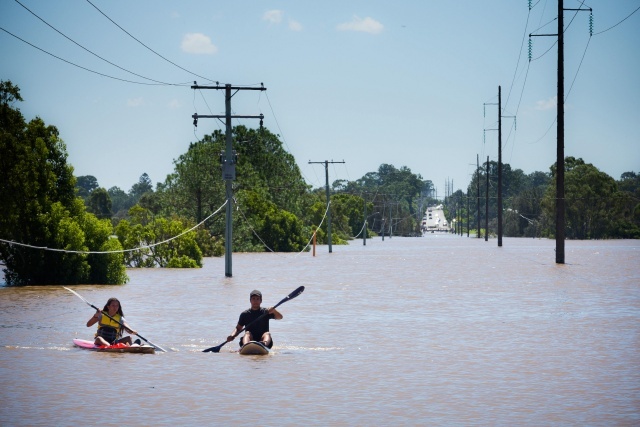 (AFP) - Once-in-a-century floods have turned streets into rivers and forced thousands to abandon their homes in northeast Australia, with authorities warning of tornadoes and more rain over the next few days. The region receives an average of some 2,000 millimetres (6.5 feet) of rain annually but some towns were already on track to pass that. The deluge comes amid a severe drought in the eastern inland of the vast Australian continent, including parts of Queensland state, that's left graziers struggling to survive.